wrote my cousin Angie. And in an instant, I knew I had to have it. My cousin Angie is pregnant, and she served this dish for two pregnant friends. They loved it. I’m not pregnant (and neither is the hubs) but we both thought this was one of the best things we have ever eaten. 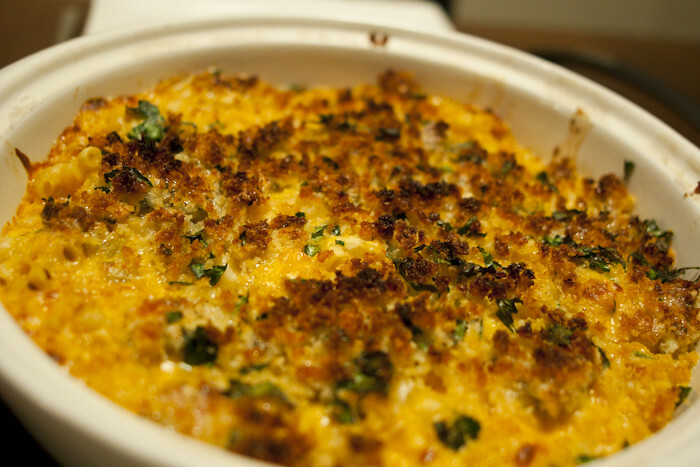 So, preggo or not, make this recipe, and savour every minute of it! Angie found the recipe at The Girl Who Ate Everything. I hadn’t previously stumbled across Christy’s blog, but I have to say… I’ll be back! 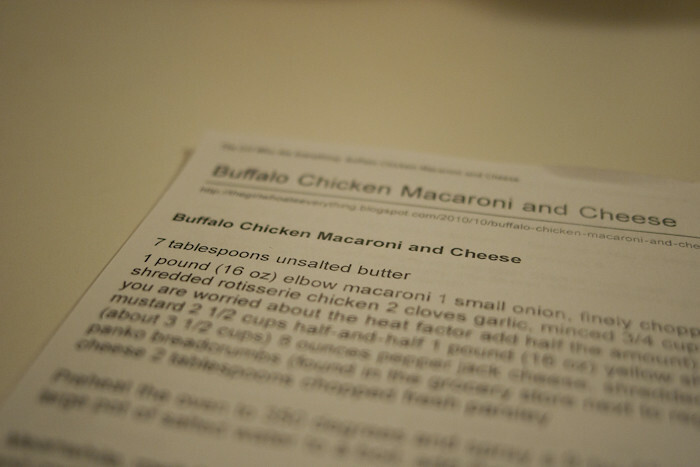 This recipe isn’t particularly difficult to prepare, but it is time consuming. I promise that it is well worth the effort, but if like me you don’t have much time to cook on weekdays, I suggest you try this on a weekend! 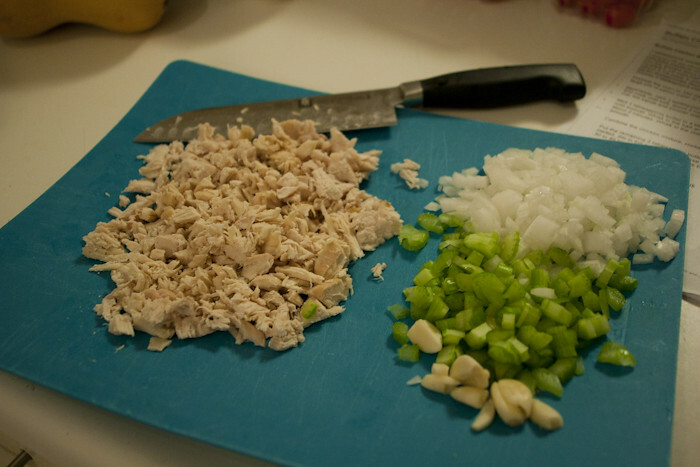 It starts off with finely chopped onions, celery, garlic and shredded chicken. 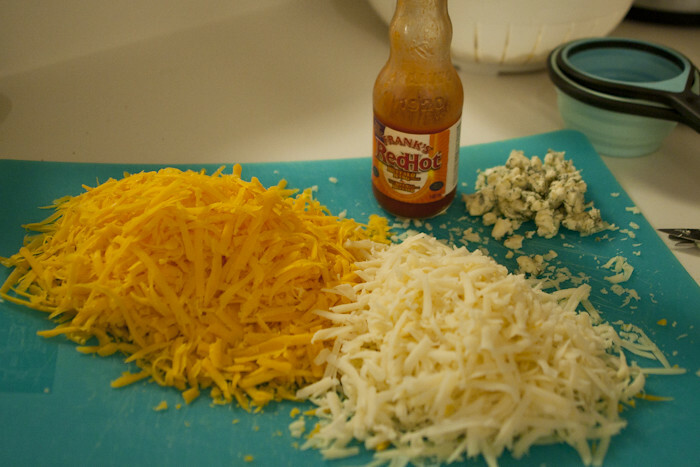 Add to that a couple of mountains of cheese, a roux, and some Franks (buffalo style) RedHot. Prepare your dish and pop it in the oven till it bubbles. Presto change-o, you have the world’s most delicious mac and cheese. And because we *really* needed more calories at dinner, we scarfed it down with a glass of milk and a followed it with three delicious macarons. 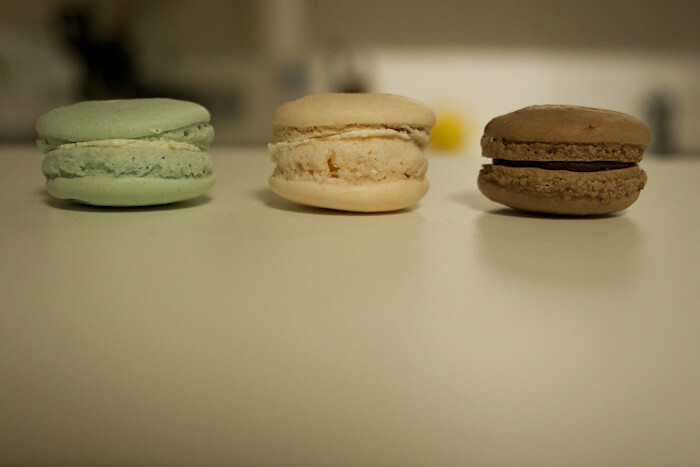 From left to right, Vanilla Bean, Raspberry, Chocolate Ginger. If you want to check out some more delicious macarons, check out my friend Heather’s “No Macaron Left Behind” Challenge! All in all, and amazing dinner. I prepared a 1/2 recipe; it was more than enough for dinner and a lunch of leftovers for the hubs and I.
I served it with an arugula (rocket) side salad with a simple lemon, shallot and olive oil dressing. Preheat the oven to 350 degrees F and spray a 9-by-13-inch baking dish with cooking spray. Bring a large pot of salted water to a boil; add the pasta and cook until al dente, about 7 minutes. Drain. Paul will be working late most nights this week so I’m going to have to try it!!!! I was able to get some Frank’s Red Hot Sauce at USA Foods!